New York City has just about everything. The great outdoors, however? Not so much. If you’re like me, escaping the concrete jungle and its outer reaches every few weeks is a must. There’s no better way to do that than by lacing up my hiking boots and exploring some new terrain. In fact, you may be surprised by all the opportunities around the New York metropolitan area. 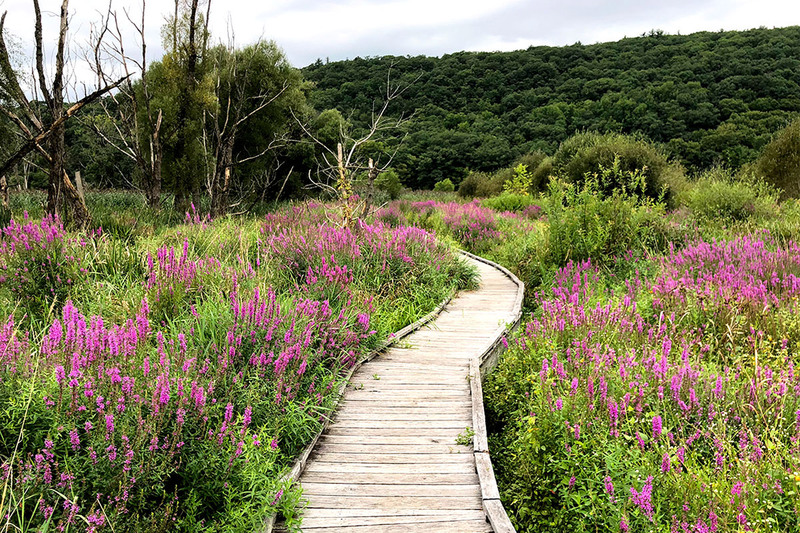 From a “surprise” lake in North Jersey to a killer rock scramble up the New York State Thruway, here are five day hikes to get you out of Manhattan and back into nature. Never climbed a mountain before? That’s okay. This is the perfect trip to get your hiking legs under you. Storm King Mountain in Cornwall rises only 1,340 feet above sea level, but packs sweeping views of the Hudson River, Hudson Highlands, and the Catskill Mountains. At 2.5 miles roundtrip and only one hour and 15 minutes from Midtown, it’s a fine alternative to Breakneck Ridge, its overcrowded cousin across the river. Set out from the parking lot along the northbound lanes of Route 9W, and pick up the orange-blazed trail at the lot’s north end. But, be ready. You’ll be sweating almost immediately as you quickly gain elevation when climbing over the exposed rock. Follow the orange trail markers to the yellow/blue-blazed trail, which will take you to the summit. Stop and take in the view over lunch before heading back to the parking lot along the white-blazed trail. If you’re thirsty after conquering Storm King Mountain, be sure to stop off at Industrial Arts Brewing Company, a fantastic brewery housed in a pre-Civil War era warehouse in Garnerville, New York. It’s just a quick 30-minute drive south on Route 9W. 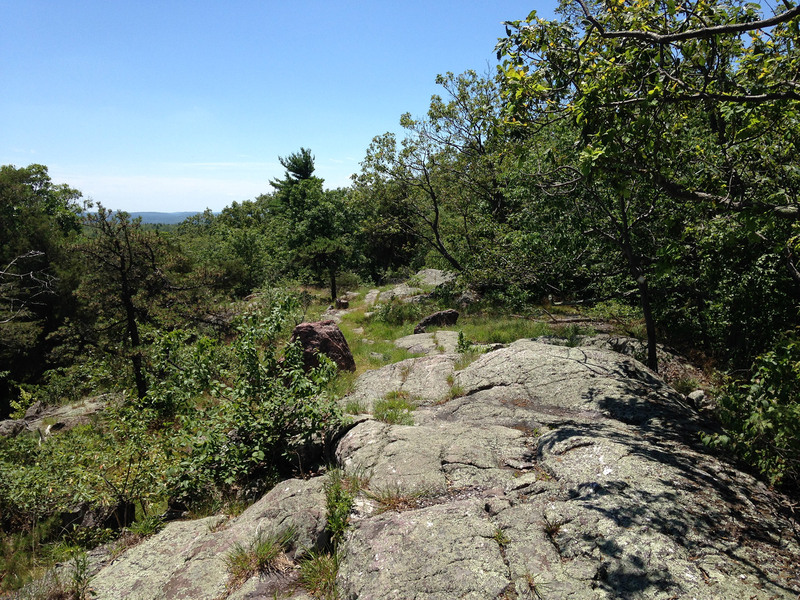 If you’ve done much hiking in the New York metropolitan area, chances are you’ve spent some time in either Harriman or Bear Mountain State Park. 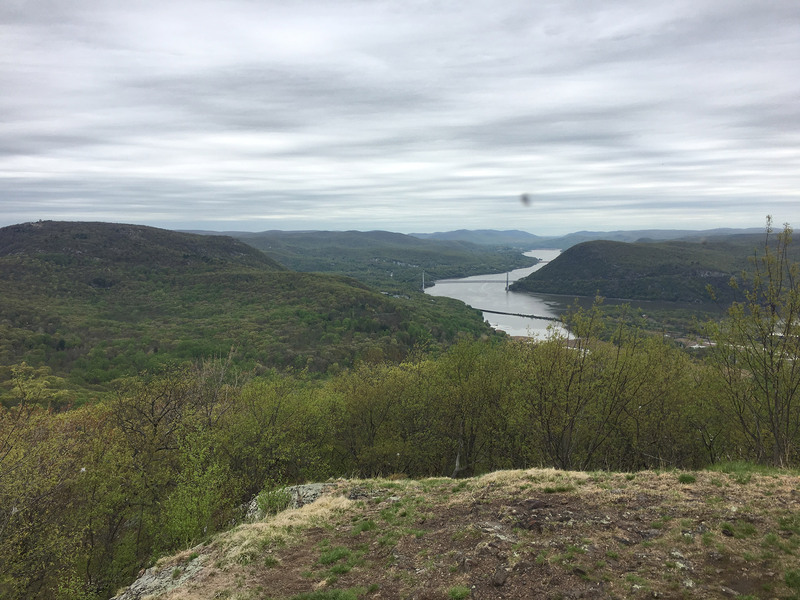 Bald Mountain, located in the latter, is a short but steep hike that leads to a wonderful view of the Hudson River and surrounding landscapes. At just over three miles roundtrip, this out-and-back hike gains more than 1,100 vertical feet before giving way to a rocky, mostly bald summit that overlooks the iconic Bear Mountain Bridge and surrounding highlands. Expect about an hour-and-15-minute drive from Midtown Manhattan. Park along Route 9W north across from the Ramapo-Dunderberg and Doodletown Brook trailhead. From the road, follow the blue-blazed Cornell Mine Trail for 1.45 miles—here’s where you’ll be doing most of your climbing—before turning right onto the red/white blazes of the Ramapo-Dunderberg Trail. Then, you’ll need to do just a bit more climbing before hitting your payoff at the top of Bald Mountain. Head back the way you came. If you’re looking for another post-hike haunt, check out the Peekskill Brewery on the east side of the Hudson River. But, be prepared, as it’s often packed with hikers on weekends. Hike to the remote Surprise Lake near the New York/New Jersey border, and enjoy a refreshing swim on a hot summer day, all just an hour from Midtown. For non-hikers, this will be a challenging but rewarding adventure. At just under six miles, it has a little bit of everything: plenty of up and downs along the Bearfort Ridge, occasional rock scrambling, a rhododendron tunnel, and, of course, Surprise Lake. Park in one of two small pullouts along Warwick Turnpike (near the intersection with White Road) in West Milford, New Jersey. Then, enter the forest just east of the barely-noticeable concrete bridge. Start on the white-blazed trail, and hike for about three miles, before picking up the yellow-blazed trail. Follow this path to the rhododendron tunnel, located at the 3.3-mile mark right before you reach Surprise Lake. After a swim and some lunch, head back to the road along the orange-blazed trail. If you’re still sucking wind, don’t worry. The return trip will be far flatter and less challenging than the hike up. If a true rock scramble is what you seek, this is the hike you’ll want. Bonticou Crag in the Mohonk Preserve near New Paltz, New York offers a short yet physical challenge for anyone wanting to use all fours on their next outing. Atop this jagged boulder field is a sunbaked summit–more of a ridgeline, actually–equipped with stunning views of the surrounding Hudson River Valley and the Catskill Mountains. 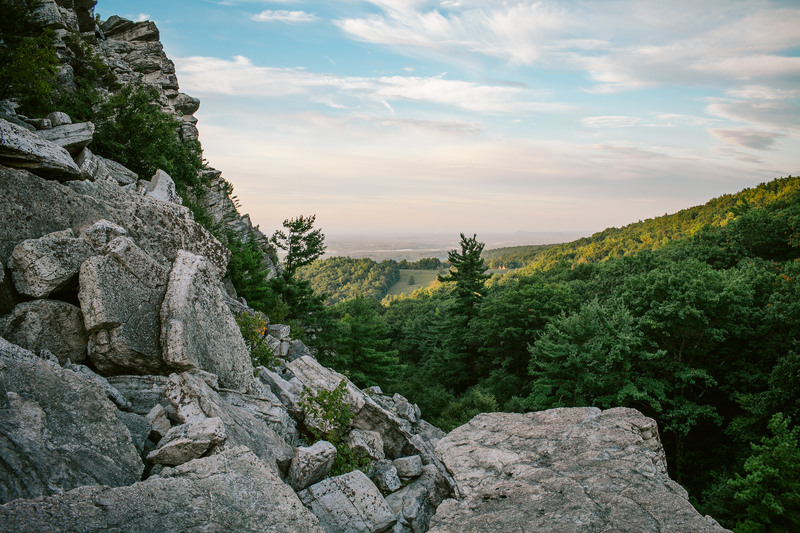 While you have many route options within the preserve, climbing Bonticou Crag before continuing to Table Rocks makes for a nice six-mile outing. As a word of caution, this hike is not for small children and non-hikers. You’ll need to use some upper body strength while completing the 20-minute rock scramble, but it’s an exciting challenge to tackle. Also, be prepared to pay a $15 fee per hiker. I know what you’re thinking: I’m not driving 2.5 hours to go hiking! 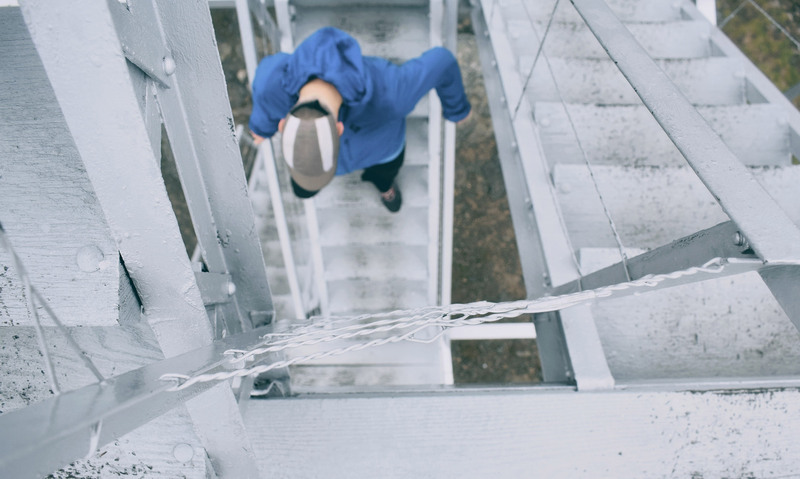 It’s a long ride, yes, but if you’re really in need of a break from the city, Hunter Mountain and the stunning view from its fire tower make for a great experience. 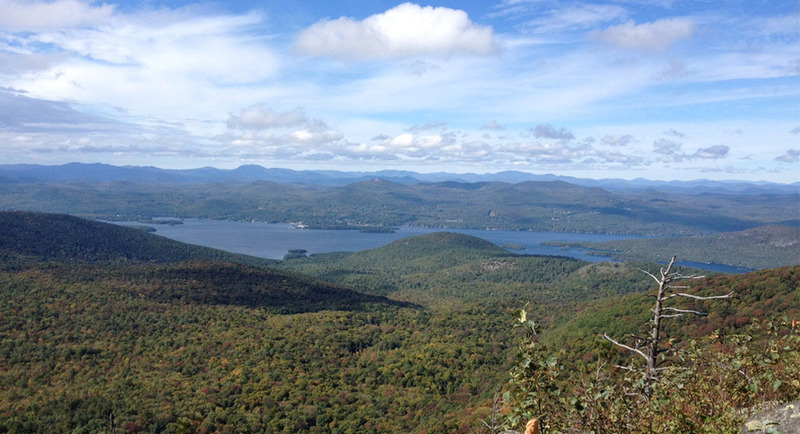 Get an early start, because at the end lies one of the Catskills’ best pound-for-pound hikes. At eight miles roundtrip and with approximately 1,900 feet of elevation gain, Hunter is certainly the most ambitious on this list. It’s one of the Catskills’ only two 4,000-foot mountains, but well worth the effort and time it takes to get there. Park in the first of two lots near the end of Spruceton Road. Then, ascend the mountain on the blue-blazed horse trail, which passes through a dense and fragrant conifer forest en route to the summit. 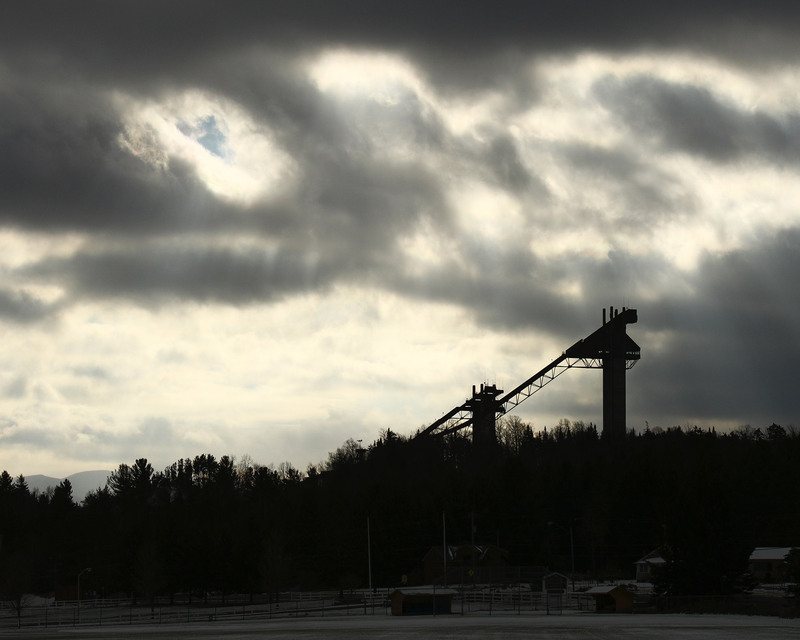 It’s about 3.1 miles to the top, but once you’re there, you will be greeted by one of the Northeast’s tallest fire towers. 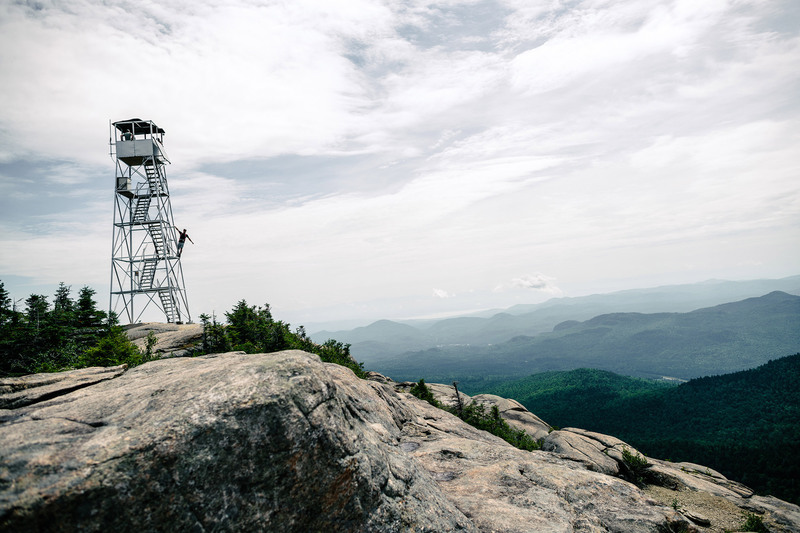 While the summit is technically flat and forested, the fire tower offers a 360-degree view of the surrounding mountains. 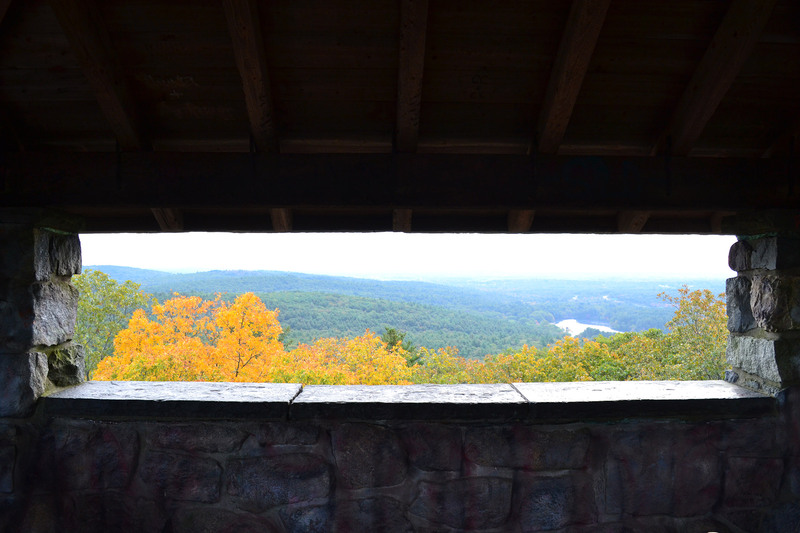 For my money, it’s the Catskills’ best view. After you’re done taking in the scenery, make your way down by following the yellow blazes, which lead to the red-blazed trail. During your descent, you will pass through more of the lush conifer forest before reaching the Devil’s Acre shelter. Stop there for a quick break, but don’t dilly-dally. Less than a mile from the end of the hike, you’ll have the chance to cool off at Diamond Notch Falls, a pair of 15-foot waterfalls just off the red-blazed trail. When you reach the end, walk back along Spruceton Road for a few minutes to return to the parking lot. But, before heading back to the New York State Thruway, be sure to stop at the West Kill Brewery, just a mile from the trailhead, to celebrate bagging the Catskills’ second-tallest mountain. You’ve earned it. Patrick Villanova is an editor at The Jersey Journal in Secaucus, New Jersey. An avid hiker, not a day goes by that he doesn’t think about his next adventure in the woods. 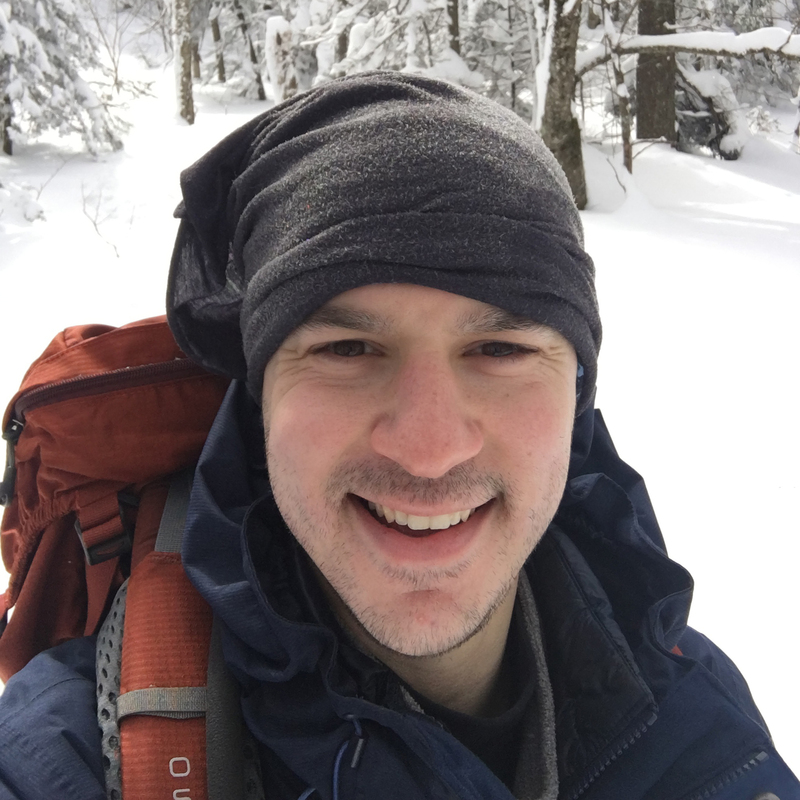 He started hiking the trails of North Jersey before graduating to the Adirondacks and White Mountains. Slowly but surely, he’s working toward joining the Catskill 3500 Club.